France boasts an amazing diversity of habitats and wildlife, from Ibex and Chamois scaling the cliff faces of the Alps and colonies of Puffins and Gannets on the rugged coasts of Brittany to one of the last western strong-holds of the European Mink on the Atlantic coast and flocks of Flamingos shimmering in the heat as they feed in the wetlands of Camargue. France is one of the richest countries in Europe in terms of flora and fauna – its mammals include Wolf, Lynx and the remarkable Pyrenean Desman. It also boasts one of the highest totals of breeding bird species in Europe, some of the best butterfly sites, and an outstanding array of wildflowers. 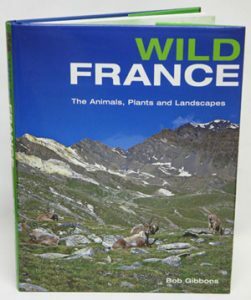 “Wild France” celebrates the landscapes and natural history of this surprisingly diverse country. 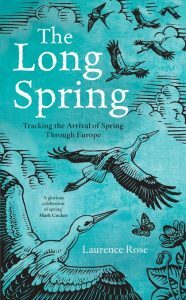 Expert naturalist Bob Gibbons examines the geography and climate, the many different habitat types and the remarkable variety of wildlife, while 250 superb colour photographs dramatically illustrate the species and places mentioned in the text. 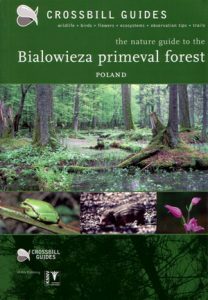 The nature guide to the Bialowieza primeval forest: Poland. On the border of Poland and Belarus lies the famous Bialowieza forest, a last remnant of the primeval vegetation that once covered the larger part of central Europe. From the outside it looks like a dense and forbidding wall of trees, but once inside the forest manifests itself as a spacious cathedral. The Bialowieza actually is a collection of forests, ranging from open oak-linden-hornbeam stands to jungle-like carr woods and mysterious, boggy spruce forests. Massive wood giants rise up from a springy, moss-covered forest floor. The dense foliage and disorderly ruins of damp trunks support a dazzling diversity of plants and animals. Packs of wolves and herds of bison roam the forest. Cranes, pygmy owls, black storks and nearly all European woodpeckers are just some of the birds that first come to mind. Like a wilderness should, the Bialowieza presents itself as an unruly area that hides its treasures well. The hundreds of kilometers of quiet forest tracks are both alluring and overpowering. This guide helps you to explore them to the fullest. 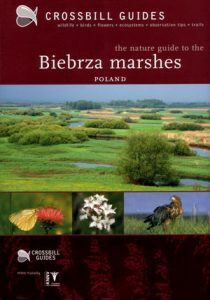 The nature guide to the Biebrza marshes: Poland. In the far northeastern corner of Poland lies an unexpected natural gem: the Biebrza river valley. The river flows like a shiny ribbon through dense flood forests, mysterious alder woods, flowery river dunes and open sedge marshes. It is the most intact floodplain left in central Europe. Here, in what seems like an anachronism compared to the rest of the central European plain, you still encounter elk, several eagles, cranes and black storks. Even wolves and such avian rarities as aquatic warbler and great snipe are found in the Biebrza marshes. For the visitor the Biebrza’s wild nature, together with the surrounding lovely rural scenery, forms an exciting and living travel destination. The nature guide to the Camargue, La Crau and Les Alpilles. Some areas just seem to have it all and the Camargue region is among those fortunate ones. Just far enough south to shake off the last edges of the temperate climate, the Camargue and surrounding areas already display some of the best that Mediterranean nature has to offer. 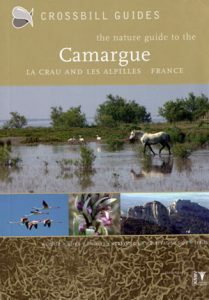 This guidebook describes the nature of three totally different areas that are each others direct neighbours: Camargue, La Crau and Les Alpilles. The Camargue is a huge complex of meadows, reedbeds, dunes and salt marshes filled with birds. Visitors are treated to grand views over large lagoons with flamingos and waterfowl. The famous Camargue horse roams the open plains. The shimmering steppes of La Crau are inhabited by a Sahara-like birdlife. Les Alpilles have yet another appeal. The forested hills and limestone cliffs are dotted with orchids and inhabited by beautiful butterflies. Combine the three areas and you have a region of incredible diversity. All you have to do is step outside and witness it.